I’m married! I almost can’t believe how quickly the time how flown this year, it feels like I was at university last week. The day was beautiful, very private and special, with memories to treasure forever. Prepping for the day meant finding a good handful of gems to use religiously over the past couple of weeks, so I thought I’d put them altogether into a post and share how I’ve been keeping my skin smooth and glowing for the big day. 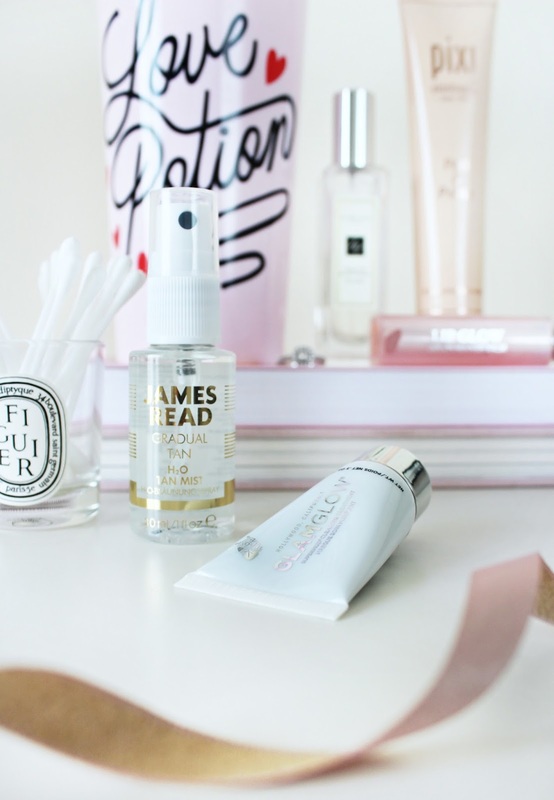 First up, the James Read H2O Gradual Tan Mist is a new find for me, but it’s quickly become an absolute must have for a subtle over-makeup glow. I use this as a summer setting spray for the dewy boost of moisture that hydrates and keeps any powdery finishes looking natural and glowy. I was kindly sent a sample of the Glam Glow Supermud Mask* which I had been deliberating over trying for months beforehand. I never actually made the splurge but after trying this mask out, I might have to! I love how quickly it draws out any impurities without breaking me out in more spots, it also smells very spa-like which makes the whole experience that much better! I’ve never really tried a facial polish until the Pixi Skintreats Peel & Polish Resurfacing Concentrate. 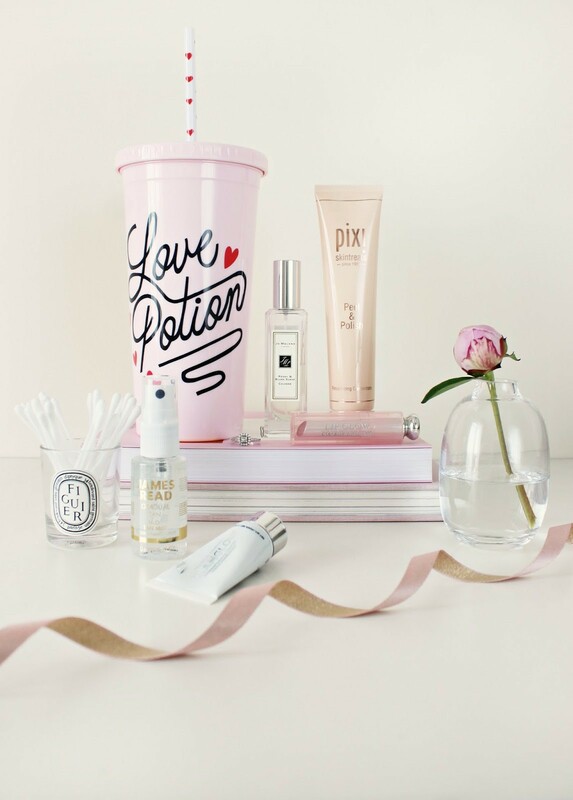 I’ve been trying a lot from Pixi skincare recently and this is definitely one of my favourite finds. It’s gentle on the skin but it removes any dead skin cells without leaving skin dry and damaged. The product itself comes out like toothpaste, but it’s gritty in texture which helps lift up any old cells and renew the texture of your face. Such a gorgeous product – I highly recommend this one! Moving onto more makeup-type loves, the Dior Lip Glow in Coral is a long term favourite of mine for moisturizing dry lips whilst adding a healthy coral glow. It lifts the entire face with a natural tint of colour, and plumps the lips slightly for a perfect pout. I’ve featured this gem a lot in posts over the past year or so – I really do use it that much! My wedding fragrance is definitely my trusty Jo Malone Peony & Blush Suede which I have been using all of summer. The scent itself seems to capture all of my precious memories of wedding preparation and my last few months in London so it only seemed fitting that I wear it on the day. It’s a very fresh fragrance which is gorgeously crisp as well. It makes the perfect summer wedding fragrance. Last, but probably most importantly, I’ve been drinking a LOT of water. This is probably the best secret to healthy, radiant skin and it’s such an easy miracle worker to use. I keep a tall glass of ice cold water on my desk and sip it throughout the day to keep myself hydrated and healthy… and the best part is, it doesn’t cost anything at all! Those were my wedding prep favourites, and I know I’ll be using them for months to come in order to maintain the summer glow that I’ve been working so hard to achieve! I also wanted to write a quick note to apologise for the lack of uploads recently – as you can imagine, it’s been a very hectic week. I hope you’re all having a wonderful start to July! Next Post The 3INA UV Collection.